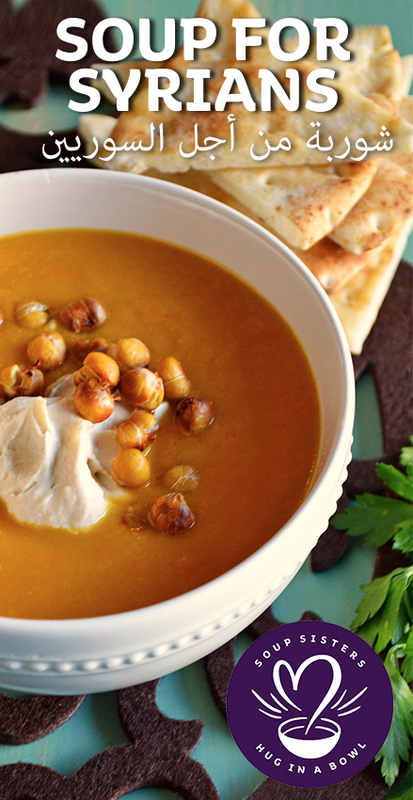 'Soup for Syrians' was a special initiative produced by the soup Sisters organization in winter of 2016 to welcome Syrian refugees to Canada by giving them the comfort of soup made with the compassion of the community. More than 1000 community soup-makers gave of their time to participate in a fast-paced soup-a-thon in Calgary, Lethbridge and Ottawa using culturally comforting family recipes. After 5 full day sessions of soup-making over 10,000 servings of soup were distributed through local outreach programs from East to West. 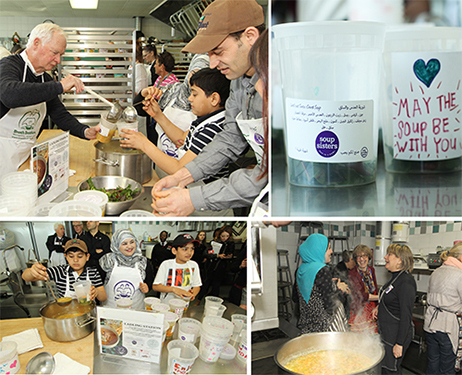 Each soup container was adorned with artwork and welcome messages written by local elementary and junior high students, and included a list of ingredients and heating instructions in Arabic. "The Soup Sisters organization is all about comfort, compassion and community. Making soup for the Syrians as a welcoming gesture is quite simply who we are and what we do," said Sharon Hapton, founder of Soup Sisters. "We bring community together in a simple way to show care and concern for people - in this case, people coming to our country with nothing, who are fleeing violence and leaving loved ones behind. They are truly in need of comfort, and that is something that soup has always represented. We call it a hug in a bowl."